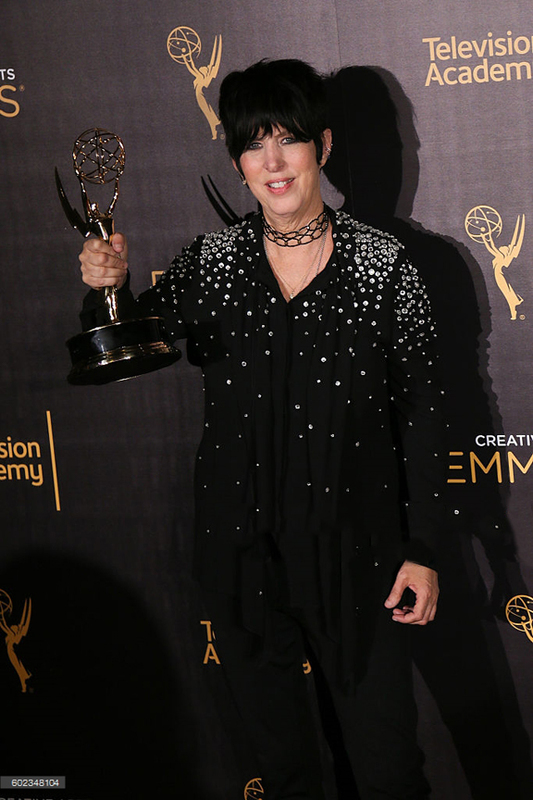 LOS ANGELES—Diane Warren won the Emmy for her song "Til It Happens to You," one of five music awards handed out at Saturday's Creative Arts Emmys ceremony at the Microsoft Theater in downtown Los Angeles. Warren – who became the first writer ever to be nominated for an Oscar, a Grammy and an Emmy for the same song – penned the tune (with contributions by Lady Gaga, who sang the original) for the documentary The Hunting Ground, about sexual assault on college campuses. Originally released to theaters, it later played on CNN, which under Television Academy rules made it eligible for the honor. Warren's win deprived composer Alan Menken from becoming only the 13th person in entertainment history to become an EGOT, winning the four major show-business awards (the Emmy, Grammy, Oscar and Tony). Menken was nominated, along with lyricist Glenn Slater, for a song from the irreverent ABC musical Galavant. 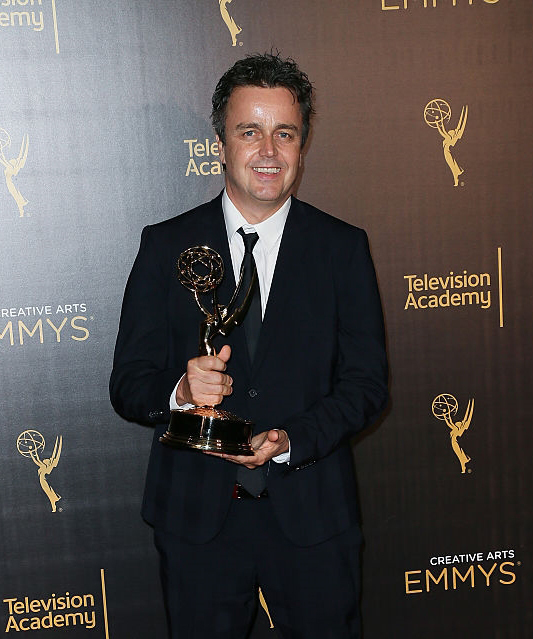 Also on Saturday, Sean P. Callery won his fourth Emmy, this time for his noirish main-title theme for Netflix's Marvel's Jessica Jones. All of his previous Emmys were for scoring the popular Kiefer Sutherland series 24. 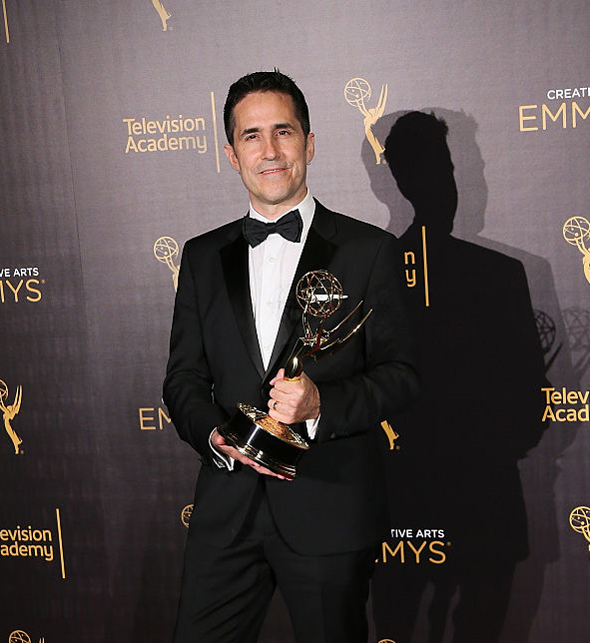 Winning their first Emmy Awards were, in the category of music for a movie, miniseries or special, Spanish composer Victor Reyes for the AMC miniseries The Night Manager; and for series composition, composer Mac Quayle, for his retro-synth score for USA's Mr. Robot. This was Quayle's second nomination, Reyes' first. Danny Elfman won his second-ever Emmy for music direction on the PBS Live From Lincoln Center broadcast of Danny Elfman's Music From the Films of Tim Burton. His last win was for the Desperate Housewives theme in 2005. Thursday night, the Society of Composers & Lyricists sponsored the annual reception for music nominees at the elegant Montage Beverly Hills. Academy governors Michael Levine and Rickey Minor hosted, along with SCL president Ashley Irwin. Honorees were presented with their official nomination certificates, and amusing video clips of several of the nominees were screened. Paul Leonard-Morgan, nominated for CBS's Limitless, spotted hotel guests looking down at the party from several floors above. His comment – "We're composers down here, no one actually worth looking at" – elicited laughter from the attendees. 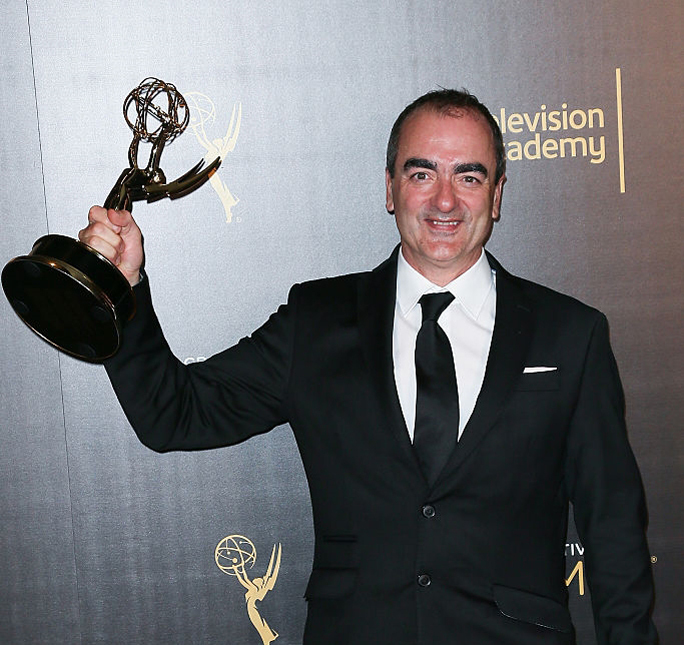 An edited version of the Creative Arts Emmy show will air on Saturday, Sept. 17, on FXX. The 68th annual Primetime Emmy Awards will air on ABC Sunday, Sept. 18.